You, too, could have hit a jackpot had you invested in Bitcoins! Have you been a victim of this kind of lecture? Well, rest easy, for the most of us, with the exception of a very lucky few, it is an endless wait. In an effort to make our readers understand this wilderness cryptocurrency, I will borrow the analogy of reconstructing a shattered pot to explain what Bitcoin business is all about? The intrinsic value of earthenware is easy to find when watching a skillful potter put his talent at play creating functional pieces, which are also decorative and often meant to be appreciated purely as works of art. In the African setup, before the invention of the malleable iron and the versatile plastic, our adorable mothers used to carry water in these lovely shaped and delicately baked earthenware. You will agree with me that fetching water from the well and trekking several miles to the homestead while carefully balancing a pot full of water on the head, sometimes on high winds is a recipe for disaster. One occasion, the pot would come down and crash into scattered tiny bits of pieces called potsherds dispersing all its contents along with it. My dear reader, consider this unfortunate event of the crashing of the pot to mark the invention of the Bitcoin with individual potsherd pieces numbered a total of 21 million bitcoins. Now, we set out to reconstruct the pot based on blockchain technology by mending the individual potsherd pieces together using fillers, glue and cold glaze to its original shape and form, and build the business of Bitcoin as a cryptocurrency over the Internet. The continuous process of searching, finding, identifying the correct potsherd piece to fit the puzzle and painstakingly building the original pot is christened Bitcoin mining; and this requires enormous resources and time as you can imagine. As far as cryptocurrency is concern, this calls for expensive investment in serious computing power to negotiate and append a new unique block of code into an already existing, fragile and growing record of transactions. Because the pieces are so scattered, the source of the next find is somewhat distributed into a sort of organized chaos by design; for nobody in particular knows where the next solution will come from. This lack of an overseeing body like the Central Bank to release new currency whenever the market demands or requires it is a core feature of the definition of a cryptocurrency. In the case of Bitcoin, new coins are released on a steady and predictable rate using a coded mathematical formula. This rate started with 50 new bitcoins every hour and is halved until around the year 2140 when there will be no more bitcoins to release. Dear reader, at this point to understand Bitcoin mining, think of it as the process of verifying these transactions in its simplest form. In the beginning, bitcoins could be mined on home computers and were awarded at about $2 each. Now mining is a much more complicated and energy-intensive process involving giant mining farms of thousands of computers across the globe. Now that we have a better grasp of what Bitcoin and Bitcoin mining is, let us take a deep dive into the business of cryptocurrency and explore rumours, truths and lies. As at January 2018, there are over 1,384 cryptocurrencies available over the Internet similar to Bitcoin but based on different algorithms including Ethereum, Litecoin, Primecoin; and many more are being created every day. A cryptocurrency only has value in its exchange, which means that in itself, it has no inherent value much the same as a ‘conventional’ currency. A Shilling is only worth what someone is willing to give another for that Shilling. If everyone stops accepting the Shilling, won’t it become worthless? So it goes without saying that a cryptocurrency is only worth what someone will exchange for it. 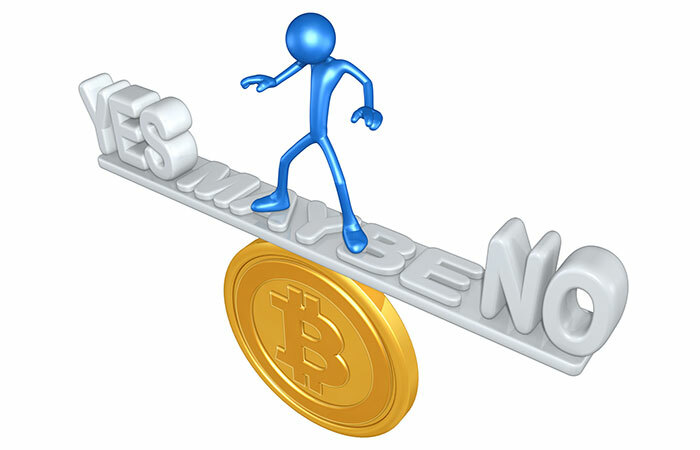 The burning question therefore is whether Bitcoin and other cryptocurrencies are the future of digital money? Judging from what the inventors of the first popular cryptocurrency Bitcoin, Satoshi Nakamoto and others envisioned it for, it is becoming increasingly difficult to consider Bitcoing as a currency. Recent developments show that Bitcoin is becoming less of a payment network and is instead evolving into digital gold, much like when our precious 2,000-year old pot is fully reconstructed and auctioned to a collector for an antique. The initial price of a bitcoin, set in 2010, was less than 1 Kenya Shilling and as at December 2017 the value had surged to over KES 1,600,000 but has since dipped to KES 1,100,000 in January 2018. This rally from the investment world is dampening any hope that bitcoin will mature into a means of exchange. Currencies need to remain broadly stable in their valuation to ensure that commerce can take place. Certainly, there is bound to be some shift in the value of the coins in your pocket and that is why foreign exchange trading is a business, but put simply, a shilling should buy you the same thing on Monday as it does the following Friday. Understandably, Gold is valuable because it has many industrial and decorative uses. Its price can fluctuate due to speculation on financial markets, but it can never fall to zero. There will always be someone willing to accept gold because it’s a useful commodity. Conversely, one has to ask if Bitcoin is really valuable? It has no industrial or decorative use, and it doesn’t entitle the holder to receive interest. It was intended to be valuable as a currency that is accepted the world over, but that doesn’t seem to be happening either. Perhaps, the only major value that Bitcoin has now is its exchange value. Many people are willing to pay a lot of money today to get hold of some Bitcoin. But what they are getting for their money is simply the ‘hope’ that another buyer down the line will pay even more money for the same coins. One is therefore forgiven to hold that once the hype stops, there will be no fundamental value to prevent the bitcoins’ price from falling close to zero. To many of us, this reason definitely falls on deaf ears. We take comfort in a euphoric attitude that always leads to a bubble with some investors of initial coin offerings (ICOs) reaping big while the rest of the park is kept busy with occasional speculative and destructive busts which often leave many investors counting losses. For the bold and wild investors, it may do you good to keep watch of the upcoming G20 meeting in March 2018, where policymakers will discuss tighter regulations or possible crippling of cryptocurrencies all together. For us in the technology industry, we must thank Bitcoin and the other cryptocurrencies not for their elusive ‘currency’ and emerging pyramid schemes but for the supporting technologies borne of these inventions. When I think about cryptography and blockchaining technologies, several opportunities stir my fancy including; cheap almost free money transfers methods, universal ID for every person alive, smart contracts, voting, Internet of Things (IoT) and many others.